You can never start a Packer Backer too young! Many attend the event held at the Lienie’s Lodge and there were plenty of Friday pints lifted and CHEERS! given to the team and players we know and love. GO PACK GO! 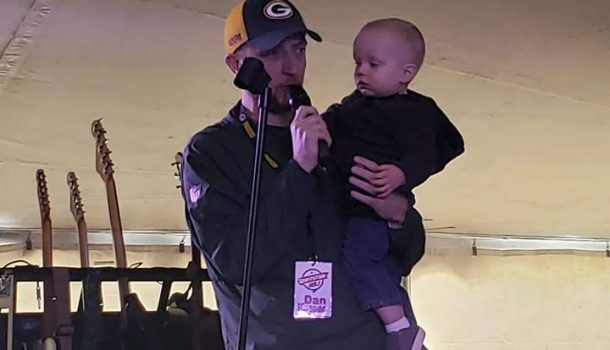 *PHOTO: Dan Kasper, Sports Talk 105.1 and lil’ Cheesehead Huston introducing Mark Murphy and The Packers.